A cylindrical leather cap of about ten inches height and having both the ends open fixed in position by means of cloth belt two to three inches in width is tied around the head and black gram paste is used for plugging the holes and filling the gaps. Suitable medicated oil heated to a bearable degree is poured within and allowed to remain for 1 hour until the mucus trickles down through the nostril. 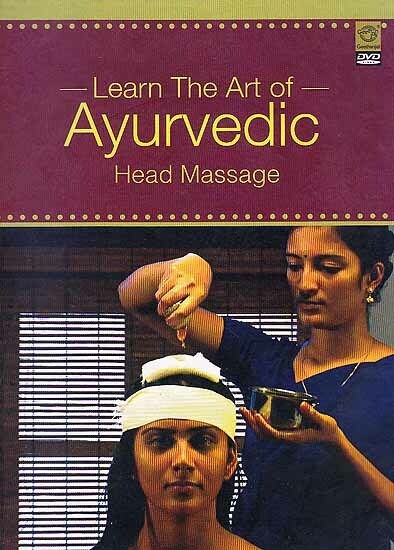 This treatment is highly effective for hair fall, dandruff, Facial paralysis, dryness of nostrils, mouth and throat severe headaches and other vatha (rhematic) related diseases. The Arya Vaidya Pharmacy (Coimbatore) Ltd.